The new energy generation impacts shifts on organizational focus. Eneco Energy Trade would like to welcome Trading professionals to join our journey of change. You are in the heart of change. You will enter the short term power market where old rules no longer apply. The energy landscape is increasingly taking a sustainable and decentralized shape. Asset Backed Trading is responsible for optimizing the Eneco asset and customer portfolio on the short term market. As such we are buying and selling commodity and steering our assets. Our ambition is to get as much renewable energy on the grid as possible, at the lowest possible cost. To facilitate this, we develop state of the art forecasting and optimization models, interactive visualization and other forms of decision support. We look for a trader who can make the best buy and sell decisions in the market and steer our assets to the most optimal points. As Intraday Trader you translate market knowledge into hard euro's. You will be working irregular hours and be part of a shift (early morning-evening, 7 days a week). You will start in Eneco's short term power team, where you will develop a vision on European day-ahead , intraday and imbalance power markets. 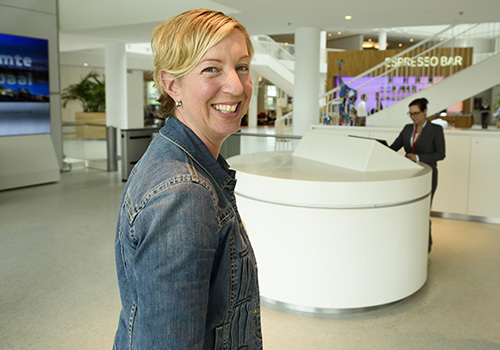 Working at Eneco means working for a sustainable company. In a beautiful modern building, we work according to the "new way of working" principle, at a location that is easily accessible: 2 minutes walking distance to metro and train station Rotterdam Alexander. We work according to our cultural values: Customer First, Together and Trust & Responsibility. This translates into a pleasant, informal working environment with plenty of space for entrepreneurship. In a rapidly changing energy landscape, you and your team shape the energy future. Interested? If you like to get more information about this role please contact our sr. Recruiter Jaap Beijerman, 0625565812 or apply direct through our apply button.